Predicting the market can be a gamble for some, and Li considers it to be a courageous act. For him, it’s all about making informed decisions by creating a solid framework. This method enabled him to predict, in early 2008, that a stock market crash would occur that year in September and that the market would rally back in March 2009. He has accurately made other predictions about the economy and managed an account between 2001-2013 that returned 230 percent through asset allocation. In comparison, the S&P 500 and Warren Buffett’s Berkshire Hathaway stock returned 80 and 150 percent, respectively, during the same period. From 2011, Li has recommended buying U.S. stocks and avoiding commodities and emerging markets. Correctly predicting how the market’s performance gives him a sense of accomplishment. “Of course, everything is uncertain,” he says. Li joined the Walton College in January as an associate professor in finance. He previously was professor at Hong Kong University of Science and Technology. Li teaches the undergraduate course Principles of Finance and Empirical Research in Finance, a doctoral level course. 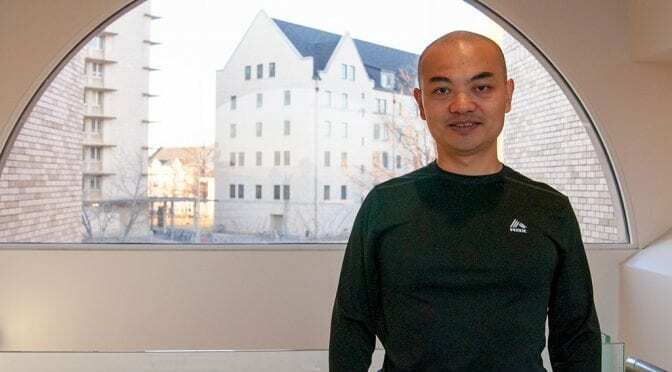 Originally from southern China, Li came to the United States 22 years ago and earned a master’s degree in economics from Tulane University in New Orleans followed by a Ph.D. in finance at Vanderbilt University in Nashville, Tennessee. He moved to Florida to serve as an assistant professor at the University of Miami for five years. When Li wanted to apply what he knew to the real world, he moved to Boston to work in the private sector as a portfolio manager and researcher. Having been in the United States for a long time, Li returned to Asia for a professorship at Hong Kong University of Science and Technology. In addition to teaching graduate-level courses, Li could better view the economy from a global perspective, much of which he used to write about on his blog. While at Hong Kong University, Li helped create a student-run investment portfolio that is similar to the way funds are managed by Walton students through the college’s Garrison Financial Institute. Yet he saw an opportunity when a finance professorship was available at the University of Arkansas. Li is conducting research projects with both Ph.D. students and junior-level faculty. He says he has found the faculty to be very friendly at Walton. “I really enjoy their company,” he says. Li says Fayetteville is different from the other places he has lived. He says the large industries headquartered in the area have resulted in more amenities, such as a large variety in dining options, for example. Li says his research interests cover a broad area, and he keeps a long, running list of ideas he hopes to explore. He used to conduct research on his own, but he says it has its drawbacks. For example, when collaborating, he usually organizes a team of three or four people whose expertise dramatically enhances the project. Alone, “it would be much more than three or four times harder,” he says. His work has been published in several journals, including The Review of Financial Studies, the Journal of Financial Economics and the Journal of Accounting and Economics. Northwest Arkansas also provides great opportunities to research product market competition, especially in the ways that Walmart, which is based in nearby Bentonville, competes with other retailers, especially Amazon. “This is basically the cornerstone of a capitalistic society,” he says.